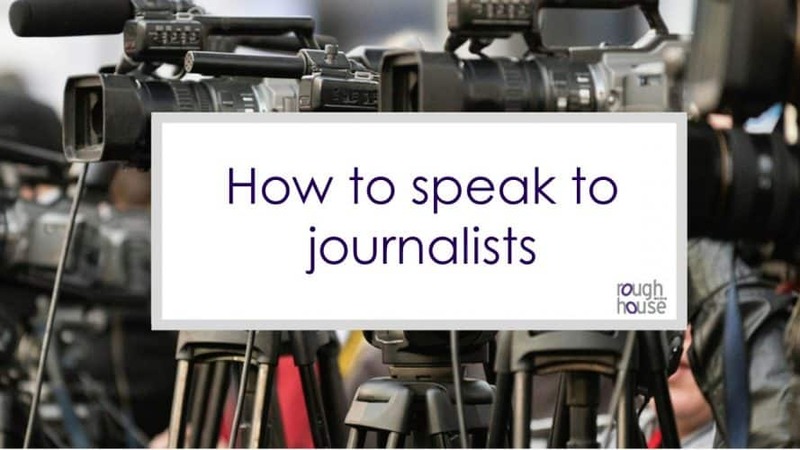 How to speak to journalists - https://roughhousemedia.co.uk. It might sound very old fashioned to talk about your “telephone manner” but it matters. Whether you’re operating a switchboard, making sales calls or working in PR, you won’t get far if you don’t know how to communicate well by phone. As a PR professional, how often do you stop and think about what subliminal messages you might be giving when they answer the phone to a journalist? Are you too friendly and compliant? Are you too curt? Are you too aggressive? Any of these may variously send signals to a journalist that if they press you more, you’ll crack and reveal something you shouldn’t, or that you’re hiding something bad, or that it’s gloves off and they can write a critical article with no qualms. As the PR team, you are on the front line of fielding calls from journalists, and, particularly in an crisis situation, how you deal with these can be critical. As well as our more regular media interview skills courses, we also run courses designed to improve how PR teams communicate with journalists (and invariably the PR teams find these courses tougher than our normal media training courses). Be friendly & helpful. This will help to keep the journalist on your side. Be polite but firm – don’t feel obliged to give in. If you are too compliant, the journalist will sense a weakness or a crack in your defences and will push you more to get what they want. Don’t sound obstructive. If you are, journalists will think you’re hiding something and it will encourage journalist to persist and push more. It may also antagonise them so they’ll give you a harder time. Use journalistic techniques and ask the key questions (who, what, where, when and why) to find out what they want. Ask who else they are speaking to. This will help you discover their agenda and whether they are producing a positive or negative story. Don’t panic. If you panic, the journalist will be mentally rubbing their hands in glee that they’ve hit on a good story. Anything you say may be quoted so beware of making negative statements or sounding rude, or being drawn into saying “no comment”. If necessary give an anodyne statement, rather than saying no comment. If you offer a short statement they’ll be obliged to use that, and it makes you appear more co-operative. They are also less likely to push you. Don’t fall for the journalistic trick of using a softly/softly/pleasant/quiet approach, say that everything is for background info or off-the-record, to find things out. The Rough House team has decades of journalistic experience and has made hundreds of thousands of calls between us. We have all employed every trick of the trade to get a PR to reveal more than they should. Contact us to find out more about our training courses in how to speak to journalists.